What is Foxy SEO Tool? 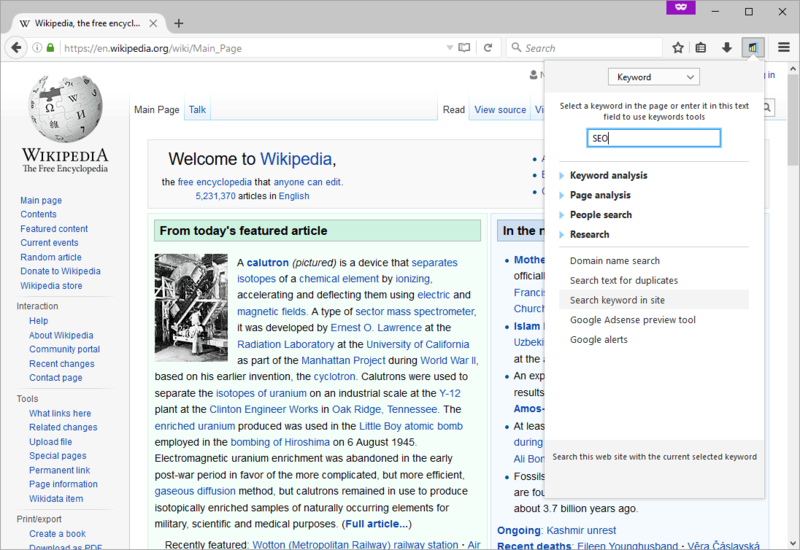 You can download this browser add-on at the Firefox Add-ons site. Please leave some feedback on the Firefox site if you appreciate it! 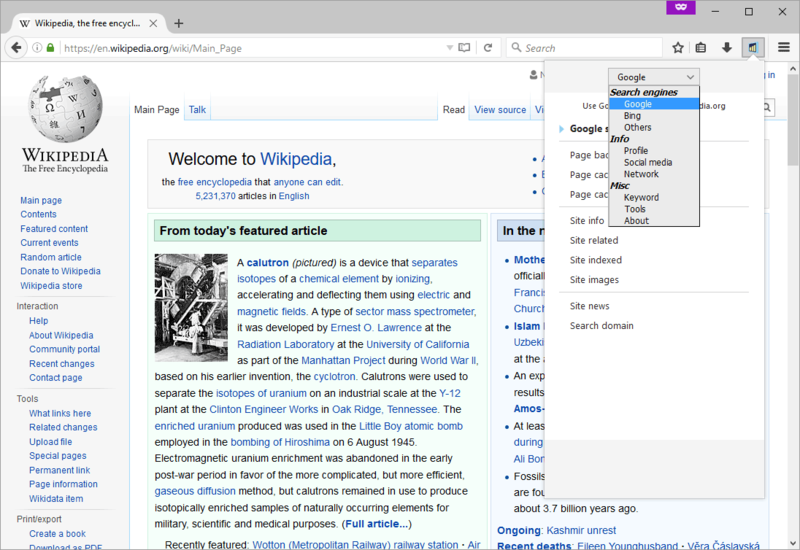 Default view of the add-on when the browser button is clicked. You can navigate the various sections with the top select menu. Most functions are related to the web site or page in the current active tab, but there are also keyword related functions. 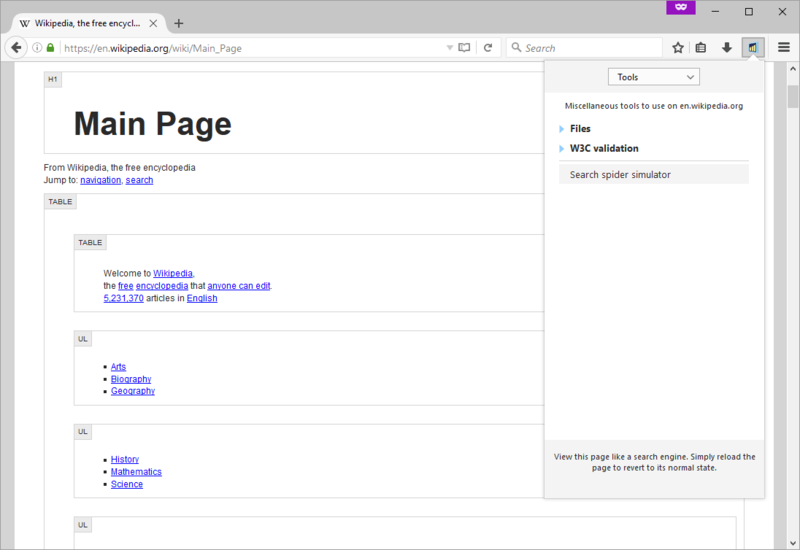 The Search Spider Simulator shows you an x-ray version of a web page showing the semantic sections of the html code, without all the layout and graphical elements, as an elementary search engine would view it. If you appreciate the Foxy SEO Tool add-on, feel free to link to this site. Foxy SEO Tool also supports a french localized version. FoxySEOtool.com is not officially affiliated with Mozilla Firefox.